Volleyball is an Olympic team sport in which two teams of 6 active players are separated by a net. Each team tries to score points by grounding a ball on the other team's court under organized rules This article focuses on competitive indoor volleyball; numerous other variations of volleyball have developed, most notably the Olympic spin-off sport beach volleyball. Play proceeds as follows: a player on one of the teams begins a rally by attempting to serve the ball (tossing or releasing it and then hitting it with a hand or arm), from behind the back boundary line of the court, over the net and into the receiving team's court. 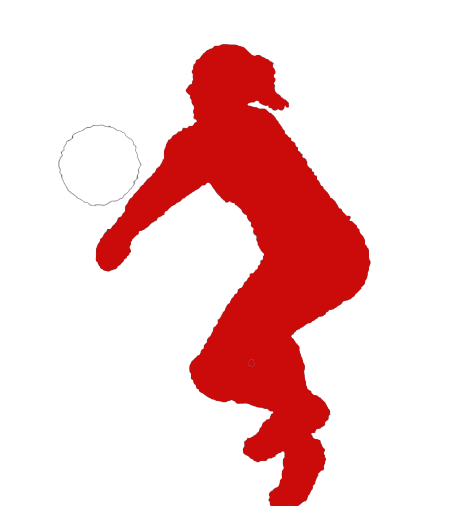 The receiving team must not let the ball touch their court; they may touch the ball as many as three times, typically using the first two touches to set up for an attack, an attempt to direct the ball back over the net in such a way that the serving team is unable to prevent it from touching their court. * four consecutive contacts with the ball made by the same team. The ball is usually played with the hands or arms, but players can legally strike or push short contact the ball with any part of the body.